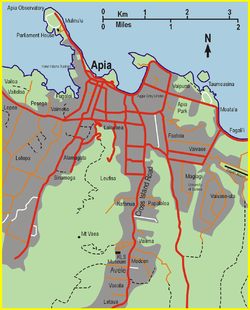 The Apia Urban Area has a population of 36,735 (2011 census)  and is generally referred to as the City of Apia. The geographic boundaries of Apia Urban Area is mainly from Letogo village to the new industrialized region of Apia known as Vaitele. 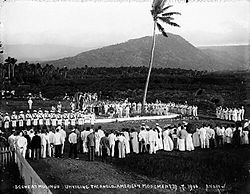 Apia is part of the Tuamasaga political district and of election district Vaimauga West and Faleata East. There is no city administration for Apia. 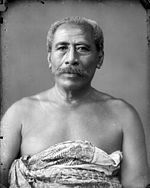 Apia consists of some 45 individual, independent villages. Apia proper is just a small village between the mouths of the Vaisigano (east) and Mulivai (west) rivers, and is framed by Vaisigano and Mulivai villages, together constituting " Downtown Apia". The Planning Urban Management Authority (PUMA) Act 2004  (amended in 2005 ) was passed by parliament to better plan for the urban growth of Samoa's built-up areas, with particular reference to the future urban management of Apia. The city's historical haphazard growth from village to colonial trading post to the major financial and business centre of the country has resulted in major infrastructural problems in the city. Problems of flooding are commonplace in the wet season, given the low flood-prone valley that the city is built on. In the inner-city village of Sogi, there are major shoreline pollution and effluent issues given that the village is situated on swamplands. The disparate village administrations of Apia has resulted in a lack of a unified and codified legislative approach to sewerage disposal. The relatively increase of vehicle ownership has resulted in traffic congestion in the inner city streets and the need for major projects in road-widening and traffic management. The PUMA legislation sets up the Planning Urban Management Authority to manage better the unique planning issues facing Apia's urban growth. Talofa Airways, Samoa Airways, and Samoa Air have their headquarters in Apia. Grey Investment Group has its headquarters in downtown Apia. This company also owned the first private National Bank of Samoa in Samoa, with Grey Investment Group, Samoa Artisan Water Company Ltd and Apia Bottling Company Ltd as shareholders. Grey Investment owns a multitude of commercial and residential property investments throughout Samoa and New Zealand. 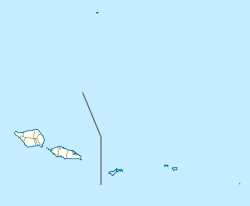 Fagali'i Airport, the small airstrip in Fagali'i, is used for internal flights and some international flights to Pago Pago in American Samoa. The main international airport, Faleolo International Airport, is a 40-minute drive west of the city. Samoa's major domestic airlines, Polynesian Airlines and Talofa Airways, service this airport. 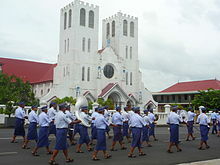 Apia is home to a number of pre-schools, primary, secondary and post-secondary institutions,  including Samoa's only university, the National University of Samoa. 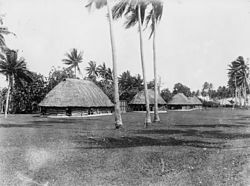 In addition, the University of the South Pacific School of Agriculture maintains a campus  at Alafua, on the outskirts of Apia. Another major School in Apia is Robert Louis Stevenson School which is a private primary and secondary school. Robert Louis Stevenson school is known as Samoa's upper class school, due to many children of Samoa's wealthy classes attending it. Apia hosted the Oceania region's qualification matches for the 2010 FIFA World Cup. As such, Apia was the location of the first goal scored in the 2010 qualifiers, by Pierre Wajoka of New Caledonia against Tahiti. The qualification matches commenced on 27 August 2007 and finished on 7 September 2007. All matches were played at the Toleafoa J.S. Blatter Complex, which is named after FIFA president Sepp Blatter. ^ " Our Company Archived 27 June 2009 at the Wayback Machine." Polynesian Airlines. Retrieved on 23 October 2009.